I have the following Dell Laptop running Mojave. I noticed most people with this laptop have the touchscreen working once they install OSX but it does not work for me. Anyone know what I am missing? 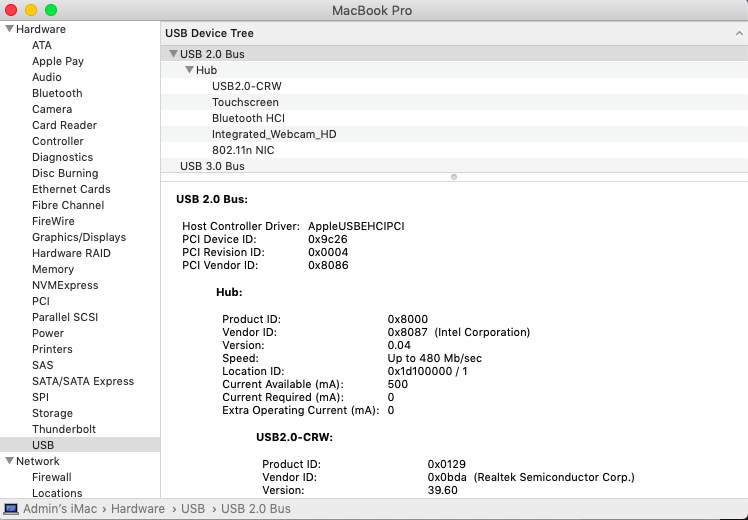 USB issue. See here on how to fix that. that works amazing, even autodetects the headphones when i plug in and switches back to internal speakers when I unplug the headphones. Did you create an USBPort.kext and did it enabled all your USB devices? Does touchscreen and webcam work now? Can you attach the kext for review?